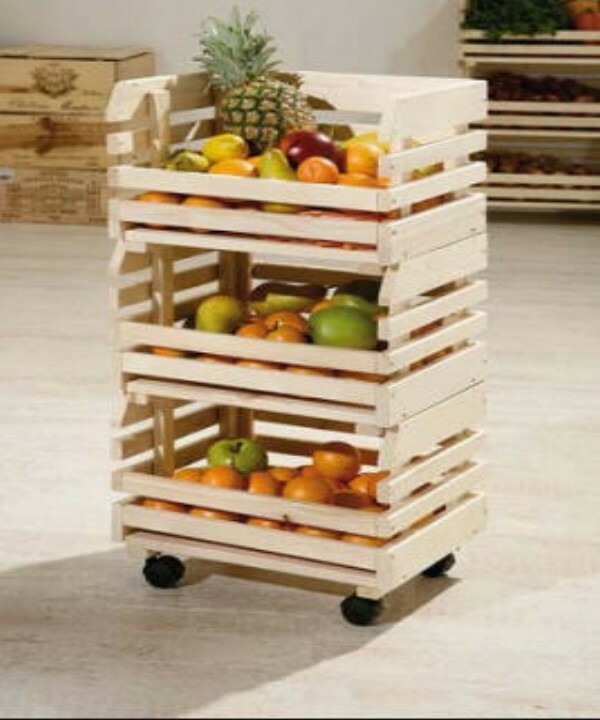 Pallets wood is particular type of wood that comes in lighter weight than other types of wood. Pallets wood is amazingly used in making all types of furniture items, household wooden articles, decoration pieces and many more. 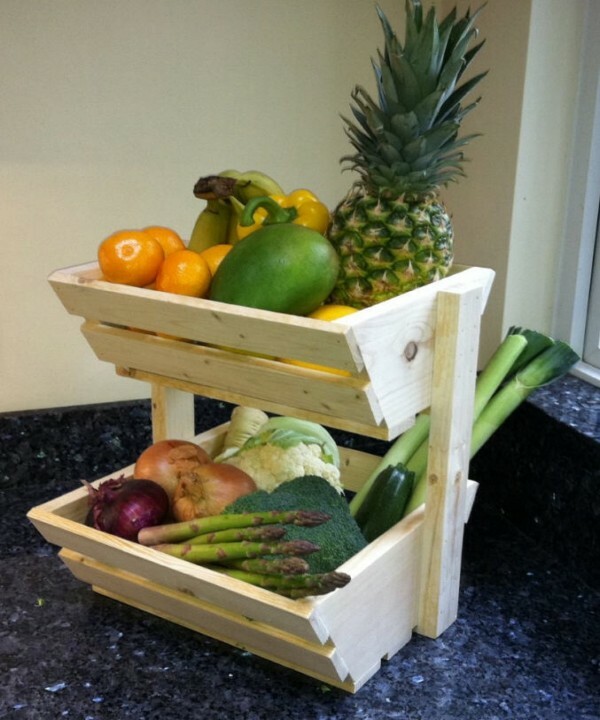 In fact lots of kitchen items are made using pallets wood. 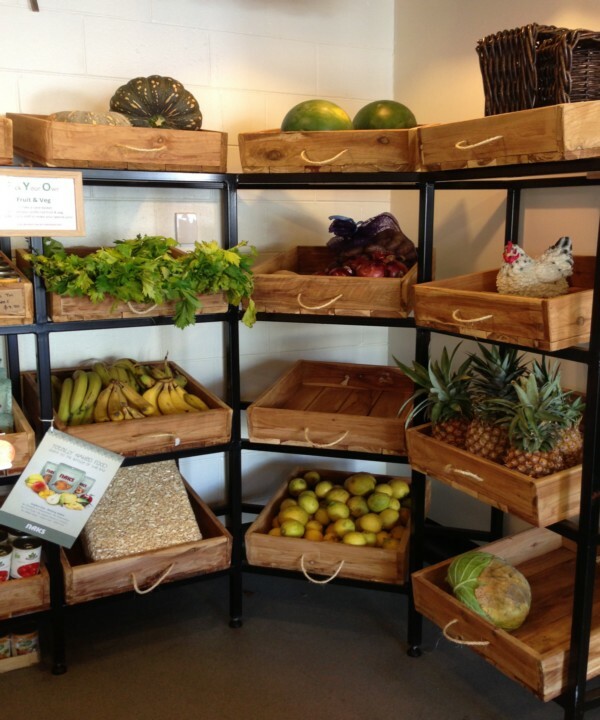 For example you can construct different types of racks to be used for storage purposes in your kitchen. 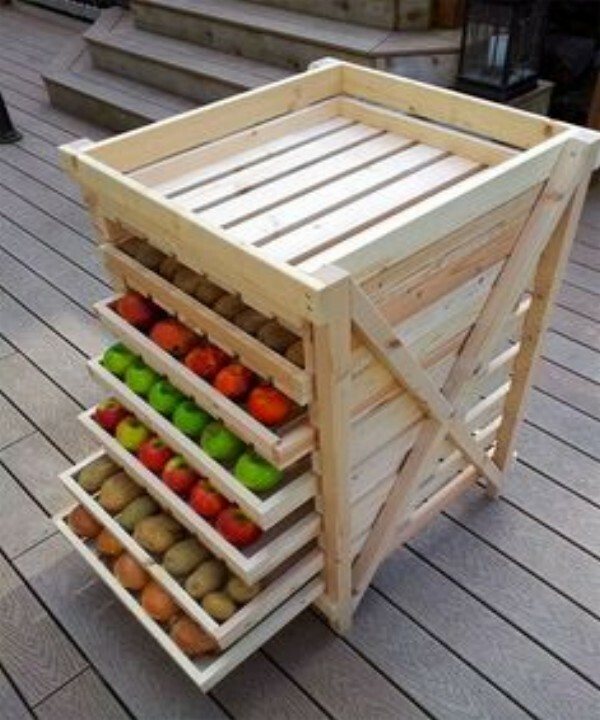 Here we are talking about vegetables and fruit racks that is constructed using pallets wood and you can see how much attractive it is. 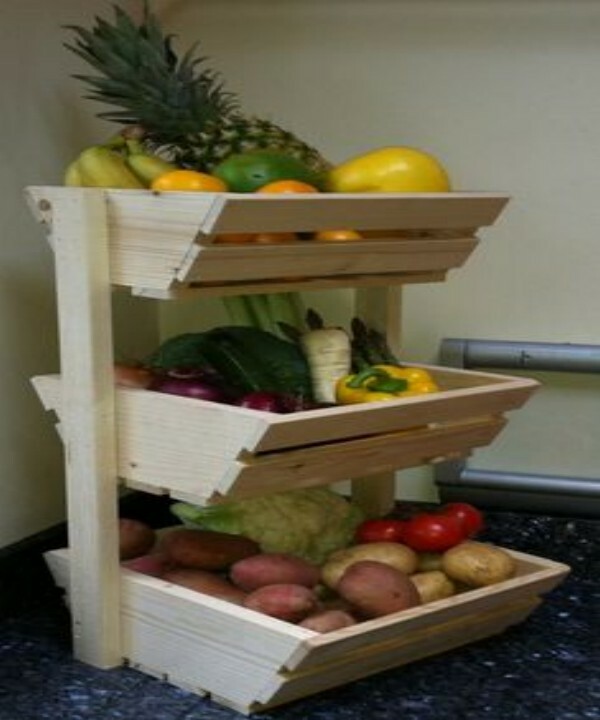 What a best and multi use of this pallets made vegetables and fruit rack. 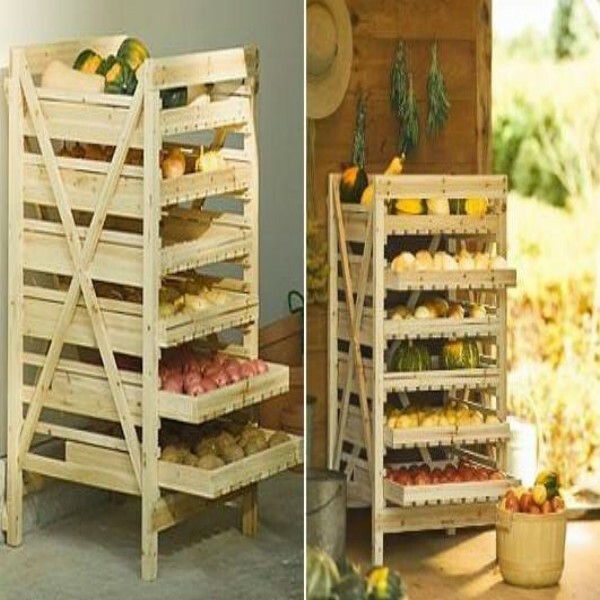 You can see that its design is quite simple and it is easy to assemble pieces of pallets wood to construct such a stylish and very useful rack to place in your kitchen. Such racks can also be made for string other household articles in store room.